I first heard about the character Arsene Lupin when I was reading the manga detective series Case Closed. Included in the back of each volume was a recommendation from the author of other detectives that readers might be interested in. And amongst some of the first to be recommended was Arsene Lupin, a charismatic master thief and sometime detective, created in response to the success of Sherlock Holmes. Suitably intrigued, I tried finding whatever had been translated from the original French, only to discover that there doesn't seem to be much available regardless of what Wikipedia says has been translated. As such, I've been rather looking forward to reading something complete, beyond the few scattered stories that I've managed to find previously. 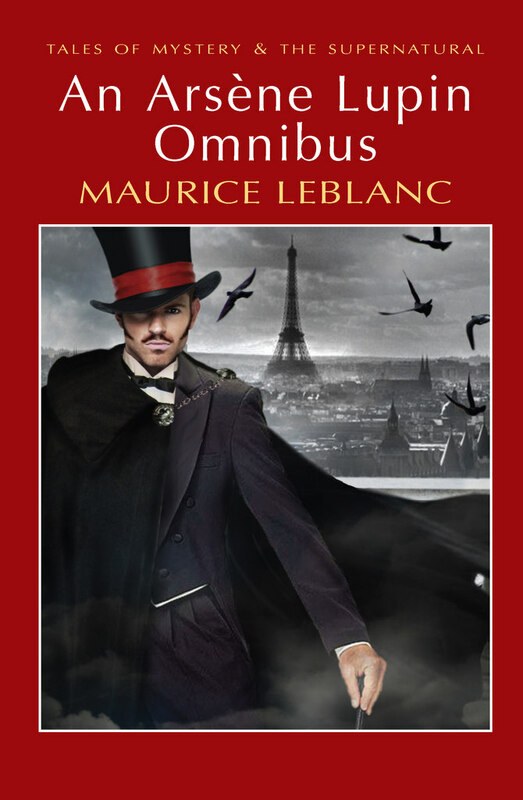 An Arsene Lupin Omnibus collects four of the volumes written by LeBlanc. Instead of going over plot and character aspects as I would normally would, I will instead focus on each volume individually. First up is Arsene Lupin versus Holmlock Shears. This is the weakest of the four for me, for one reason that is perhaps more personal to me. As you can probably tell, this is a short novel detailing the intellectual battle between Lupin and a poorly disguised version of Sherlock Holmes, whose name couldn't be used at the time of writing due to copyright infringement. The mystery is actually fairly solid, I didn't really manage to guess anything before the big finales. My problem is that this is such a mean-spirited rendition of Holmes, and let's not pretend that this Holmlock Shears is meant to be a character in his own right. While I have loved books with one abhorrent character, rarely was the narrative from their perspective and never was it using the character that I will probably always carry closest to my heart. To see him treating his Watson substitute with such callousness is galling. As I said though, the mystery is good enough and Lupin charming enough that I could tough it through. 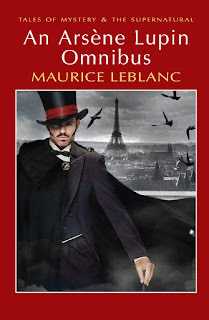 The second volume in the omnibus is The Confessions of Arsene Lupin, a collection of short stories mostly focusing on Lupin as a master thief. This is one of the stronger collections in my opinion, because Lupin's adventures are not long enough that they have time to grow old. An issue that the previous volume had as well was that as two longer cases, it does start to feel a bit like a waiting game as Lupin sets more and more obstacles in an investigation's way until no more avenues of pursuit are available. With the short stories, it's more succinct and punchy. They feel more fun when there isn't the knowledge that your main character is running in circles. It's much more interesting to see how carefully laid defences are circumvented when it isn't the point of view character's defences. The third volume is another novel-length adventure, The Golden Triangle. In this volume, a dashing injured army captain and the beautiful nurse who tended to his injuries must defend against an unknown assailant whilst trying to figure out both where the nurse's evil husband hid several tons of gold bullion and who has been aiming to bring the two of them together in matrimony since early childhood. This one works significantly better than the first of the long-form adventures, as it provides more meat with regards to its adventure. I won't say mystery, because there's one rather big spoiler, only revealed in the penultimate chapter, that I managed to guess by the halfway point. Hint, characters don't do a 180 turn in allegiance during the course of a day, so it's not hard to surmise from there. Aside from that, it's great fun, with a lot of "lovers in peril" moments that I probably like a bit too much. Last of all is The Eight Strokes of the Clock. This is kind of an interesting volume, as it's in some ways both a novel and a collection of short stories. Posing as a gentleman by the name of Prince Serge Renine, Lupin approaches a woman by the name of Hortense Daniel, and manages to restore her financial independence. As payment, he offers that she become his companion in seven further adventures, thus providing the reader with a series of interlinked short stories. I had actually read a couple of the chapters before getting the omnibus, as a part of a "best of" collection, and I must say that their inclusion was spot on. While the introduction essentially asks the reader to think of Lupin as a French equivalent to Sherlock Holmes, nowhere in this omnibus does it fit as well as The Eight Strokes of the Clock, as here we have the consistency of an established partnership combined with the stand-alone nature of the short stories themselves. Honestly, it's the best part of the omnibus, and had everything been of this standard I would have been supremely happy to give this a perfect score.